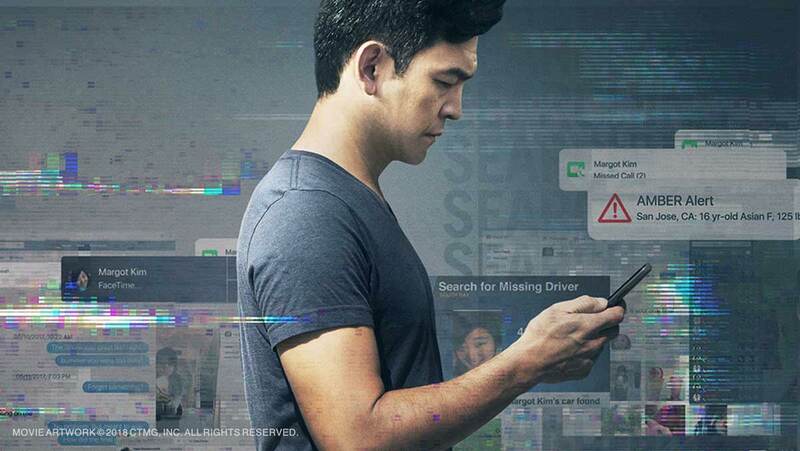 From first-time writer/director Aneesh Chaganty, Searching is a mystery thriller about a father’s desperate search for his missing 16 year old daughter. Who’d have thought paying to stare at a computer screen for an hour and 40 minutes could be so damn worthwhile. The computer-screen movie is by no means a new concept in Hollywood but it has been pretty hit or miss with a number of quite good and very bad films making use of this approach. Searching however proves that this approach of experiencing a story entirely through a computer-screen can give off phenomenal results as this is by far the best film to make use of this technology. From beginning to end I absolutely loved Searching, it’s a riveting and thrilling story with well fleshed out characters, incredible performances, and plenty of emotion to go with it. With this still somewhat experimental format things could have gone either way but the execution of this story here is near flawless. As the mystery unfolds the pacing hastens gradually, building suspense with each passing minute and throwing you through a rollercoaster of emotion and unpredictability. Every development had me cowering into and creeping off the edge of my seat due to the unsettling nature of the idea of a young daughter going missing. Chaganty hooks you into the story from the opening sequence through sheer emotion and character depth and continues to explore and develop these personalities over the course of the film. The story manages to capture so many complex tones in being unsettling as well as deeply moving and even making room for a brief moment or two of light humour. It’s amazing how much is encompassed within this story and it has come out so immaculately intact. I was surprised by how much I felt for the characters in here most notably the father played phenomenally by John Cho. It’s an emotionally moving story centred around this father who will go to the ends of the Earth to find his missing daughter and you see every moment from his point of view and how he unravels throughout every event. The character development is just great and even the secondary characters are well built up and fleshed out enough to make them all interesting. John Cho’s lead performance is incredible as he carries every moment of this movie with how much he gets into the role and delivers the emotion of this story so effortlessly. He’s someone you can instantly get behind from his backstory which is all fantastically covered through the opening sequence. That’s another thing, this movie manages to tell backstory and fill in gaps in characters amazingly well. It gives you so much information in so little time that the majority of the runtime can be focused on the main story at hand. Condensing a lot of information into a couple of scenes is very difficult but Chaganty manages this without issue predominantly through the opening sequence alone. He sets everything up so well that all that’s left from there is to let the story play out and not have to go back and forth through time with long exposition scenes. The supporting roles are also very strong and the characters are well fleshed out and engaging in their own ways. Debra Messing and Joseph Lee are the two supporting performers with the most screen time and they too play their characters really well building on the emotion of the story through some great interactions with John Cho. There’s a touch of social commentary in this story that I found very effective and quite engaging or entertaining at times. It’s pretty subtle and doesn’t bash you over the head with the messages it’s trying to send and actually is one of the many highlights of the film. Also from a more technical standpoint and the way the story is told visually through web browsers and FaceTime on the computer screen and other electronic devices I found it all very easy to take in. It never gets frustrating or boring watching someone navigate through a computer because A) the story is gripping and holds your attention the whole time, and B) there’s almost always some other element adding to every scene. Whether it was FaceTime open in the corner of the screen, or a voice-call happening in the background, or simply the chilling score kicking in there was always something to engage me on top of the story unraveling. I highly recommend checking out Searching as it’s a fantastic mystery thriller, the best computer-screen movie, and hands down one of the better films of the year. In terms of tone I got a vibe similar to that of another phenomenal mystery thriller in Prisoners (2013), just maybe not as dark and disturbing as that film. John Cho’s lead performance is exceptional and will keep you enthralled in the story in every moment. So if mystery thrillers are your thing and especially if you loved Prisoners I’d say this is a must watch. I’m planning on seeing this movie this Saturday. I’m really excited!